I remember waiting for the Google Dance. Old school SEO experts know what I’m referring to. Years ago, Google would update its index once a month. Online marketers would watch their search listings hoping for a jump in rankings. The next day, forums would fill with the lucky and the damned, those who thought Google was awesome and others that swore it was Satan incarnate. Google still dances but its index changes are fine tuned and uneventful. Now we watch Facebook like shy geeks at prom. Last week, Facebook changed its Newsfeed algorithm again. They say the change will surface your friends' posts and pages when they are the most useful and relevant. I doubt it, but okay. And right on cue, Facebook tacticians are looking for ways to recover diminished reach due to the change. Like Google, we have pinned our hopes on a fickle hero. Perhaps it’s time we remind ourselves of the lesson Google taught us. I don’t doubt that Facebook wants to make money by erecting tolls booths on the path to your followers but I don’t believe that profit is their primary goal. Their goal is to get every human hooked on Facebook. They do that by creating an insanely useful and relevant tool to connect with your friends. Google already makes billions lining the path to your content with billboards (i.e. Adsense and Adwords). Sure they want to make a pile of cash but I believe their primary goal is what they say – to organize their world’s knowledge. Both Google and Facebook need YOU to accomplish their goals. They need you to care about your content’s quality and value. They want you to attract audiences using innovative approaches and strategies. Facebook AND Google cook up new ways to inform, entertain, and educate your audience at a dizzying pace. The last thing they want you to do is to parse every change in their algorithm looking for patterns, shortcuts, and other nonsense. Just create insanely great solutions, options, perspectives, and tools to problems that annoy the piss out of your audience. I’ve stopped watching Google and analyzing Facebook. Its more productive and fun to watch and analyze you. Afterall the best strategy has always been to give you what you need. The mobile mind shift has created a paradigm in which the understanding is that each individual expects more out of each interaction, and their smartphone is the epicenter of their core interactivity. If your desktop experience is being redesigned, or your business is transitioning to a mobile-first point of view, you’ll want to discuss what you need to consider when migrating your stand-a-lone mobile website into your existing desktop website. The primary reason for this type of migration is typically a transition to responsive or adaptive Web design. Making this decision will help you consolidate SEO authority, create a streamlined experience, reduce resources, and scale updates across all device types from a central code base. Keep in mind, you must really consider if this is what your desired mobile experience should be, because there are instances where responsive may not be the right choice. However, with this being Google’s preferred method of Web presentation for mobile, as well as the increased understanding that brand consistency drives momentous brands such as Apple, Google, and Amazon, responsive is, of course, a no-brainer. But, if you already have a mobile website, it becomes quite the undertaking. There are a few things required – well, actually more than a few - that will be needed in order to ensure a smooth transition from m-dot to www-dot. Many times we focus on WHAT is necessary, in terms of tasks, and not the WHO. I find that identifying which individuals, committees, etc. need to be involved helps streamline workflow and fortifies support for getting the job done. So we know the goal is to consolidate/roll the mobile site into the desktop site. But, each team will be required to take action in order to reach the end goal. Optimization of desktop pages for both desktop and mobile. Load testing – can your desktop environment handle all the new mobile users? This is a huge step because this is the business justification for resources. If you can’t answer why this benefits your audience, positions your business for future success, creates scalable efficiencies, and ensures you’re in line with your competitors, then you won’t be able to get this done. Remember, if you want a separate, unique experience that incorporates your existing desktop experience, but is specific to mobile users….then, you may not want to do this consolidation. It’s OK to find out during the WHY phase that there’s not a good enough reason to move forward. Step 4 – So YES, We’re Going to Do This. WHEN and HOW? Timing may seem like the least of your concerns, except that no matter what the organization, each of the teams in step two has their own timeline(s), goal(s), and plan(s) for executing their parts. Just think of the last time you said, "Well it’s just a canonical tag, and can’t we just squeeze it into the next release…" What was the response? I’m sure it wasn’t, "Sure, no problem!" The best way to begin your mobile migration plan is to start with your top three priorities. The priorities will help you break out this project into the necessary work streams that get the job done, and done right! For many these will be: 1) traffic, 2) revenue, and 3) visibility. But a great way to really understand the overall value is a nifty tool provided by Google called the Full Value of Mobile Calculator. So now you’ve got your priorities, whatever they may be. In my next article, we’ll discuss what you’re going to do with everything in the WHAT section, to successfully roll your m-dot into your new responsive site. Is LinkedIn Premium actually worth the money? Many users will often find themselves wondering this at some point when they are offered a free trial to experience the features LinkedIn Premium offers. Although I am personally a LinkedIn Premium user, I’m not prepared to say everybody should be using it because that’s simply not true. I get value from using LinkedIn Premium because I make use of the additional features it provides. If you’re actively using LinkedIn as a social selling tool, here are eight reasons why it might be advisable to go premium. The LinkedIn Code, you know one of the most valuable tools on LinkedIn is its advanced search. The advanced search results on LinkedIn are VERY reliable, because LinkedIn pulls the results from content within people’s profiles where they tend to share more information not commonly found on sites like Facebook or even Google+. Truthfully, you can access a lot of advanced filters already with the free version of LinkedIn but the premium filters give you (almost) everything you could ever want. You can see up to 7X the amount of results with a LinkedIn Premium account. 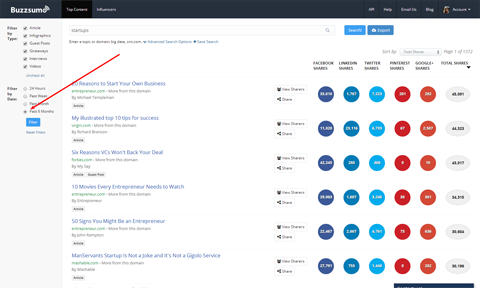 If you’re a sales professional that’s trying to find leads beyond a tight, local area, this feature is a goldmine. It’s not unusual to keep doing the same searches often once you’ve dialed into your target market on LinkedIn using Advanced Search. A small but useful perk of upgrading to LinkedIn Premium is the amount of saved searches you can store at one time is increased from 3, all the way up to 10 in the Executive LinkedIn Premium plan. You will receive weekly email updates of new members that fit the criteria you’ve specified. If you’re a local B2B sales professional, imagine how powerful it is to be alerted when there are new prospects in your area that match the exact criteria you’re looking for. LinkedIn literally will deliver leads right to your email inbox. Want reliable feedback about a new prospect or a job candidate that you’re looking at? Reference searches are a tool exclusively available to LinkedIn Premium members to quickly pull up a list of people that have worked at the same company as the person you’re trying to learn more about. To do a reference search, go to the profile of the person you want a reference for and click hover your mouse above the downward arrow next to the “Send NAME an InMail” button. Select “Find References” from the drop down menu. Sometimes you don’t have time to connect with someone “the long way” and need a bit of a shortcut. InMails are a great way to get the attention of people outside your network by giving you an otherwise forbidden ability: sending private messages to 2nd and 3rd level connections. You can send an InMail by clicking the Send InMail link in the upper right of a member’s profile page or from search results. Want an introduction to someone outside your network? The introductions feature is a great way to facilitate that if you have someone in your network that’s already connected to someone you’d like to meet. This might not be a big deal to you if you’ve never used the Introductions feature on LinkedIn but if you have, you know that you only get 15 with a free account. You get up to 35 depending on which LinkedIn Premium account you go with. You can already see your 1st degree connections and their profiles but becoming a LinkedIn Premium subscriber will lift the veil for everyone else. This is a great feature for LinkedIn Premium users as it gives you the option to allow people outside your network to send you a message. This is a huge benefit for premium subscribers and one of the reasons I remain a paid member. InMails can be costly and potential prospects aren’t going to pay to reach out to you. Open Profileremoves a key barrier between you and the prospects outside your 1st level network. Who can forget that fancy gold badge you get on your profile and beside your name in the search results? It’s a very small benefit that identifies LinkedIn Premium users but anything that makes you more eye catching in the search results is positive. At the end of the day it’s the features, not the status, that will compel you one way or the other. The advent of social media has opened hundreds of new opportunities to advertise and build booming brands nearly overnight. Understanding the benefits of Pinterest is essential for all social media and online marketers, whether you are blogging about cooking, representing a new fashion brand or marketing towards a specific audience and demographic. Pinterest is ideal to reach women and female entrepreneurs, making it a key factor in growing blogs and small websites today. Because of Pinterest's skyrocketing success and growth in popularity, it quickly became a great platform for marketers due to its SEO, or search optimization purposes. SEO marketing is essential for most all online blogs and websites. With Pinterest, adding keywords, sharing URLs and distributing virtual pins is a quick way to boost any website's overall ranking within some of the most popular search engines including Google, Yahoo! and even Bing. Using search engine optimization with Pinterest is a way to cut corners from link-building while sharing legitimate content to keep followers, loyal fans and potential customers interested in what you share on a regular basis. The more consistently you update Pinterest and other social media platforms that allow hashtags and keyword-tracking, the easier it becomes to expand your reach while gaining exposure for your brand and the business you are building or representing yourself. Creating a name for any business or brand is possible with Pinterest without the use of large advertising budgets. Advertising online can quickly become expensive, especially when using direct advertising approaches. Sharing new content with hundreds or even thousands of followers is free to do with Pinterest, giving marketers an entirely new platform to boost advertising revenue from users who discover their links during searches or through the uploading of new content. Pinterest allows for hashtags and keywords to be used to help with tracking content and allows users to search for uploading and shared virtual "pins" that are relevant. Using hashtags and keywords is another way to help with boosting SEO, as the keywords are linked to your URL when your blog or website receives new visitor using Pinterest as the source. Gaining followers is much easier with Pinterest than other networks such as Facebook and Twitter, especially with the use of searchable hashtags and keywords. Adding numerous keywords, phrases and relevant acronyms any time you update new links and content to your brand's Pinterest page is essential to help with building an audience and expanding your demographic in less time, whether you are promoting a local business or an online magazine for all. Using Pinterest effectively as a marketer is a way to dominate a specific niche. Whether you are promoting new fashion trends, cooking recipes for low-carb dieters or DIY projects that are useful in the garden or around the home it is possible to dominate a specific market with the use of Pinterest. Be sure to conduct adequate keywords research and browse popular categories on Pinterest any time you are thinking of running new marketing campaigns or producing new content to help in shaping an image for any brand or business you represent online. When marketers understand the need to take Pinterest seriously, it is possible to have drastic results on budgeting and overall marketing campaign costs. Knowing how to effectively put keywords and search engine optimization to use with Pinterest is a way to quickly gain exposure whether launching a new business or promoting an online eCommerce store. The posts you share on Social Media are the key to increasing engagement, traffic and awareness of your brand online. Many businesses and marketers want to create posts which will bring virality to their content. But before you jump the gun, there is a lot you must achieve in order to reach that goal; and to do that you will need to create perfect social media posts! So, you’re wondering how? By the way, Facebook is changing the timeline algorithm again. Hope you already know it from InsideFacebook. The key point is “If a Page posts about a trending topic or if a post sees a high velocity of engagement early on that then drops off, that post may begin to see increased distribution early on and less distribution over time” so it’s important to get more engagement right after you post something on Facebook to get wider reach. Social media is a crowded place; you need every competitive advantage possible to stand out. Often marketers get overwhelmed by the following questions – What to post? How to post? And on which platforms? In this article, I’ll go over some simple tricks and best practices to help you create the perfect social media posts. Here we go! Visual content is the rising star on social media. Images, videos, Infographics, memes GIF’s etc are a great way to share your brands information. They are easier to grasp by your audiences and it always receives good engagement. This is the generation of easily distracted audiences, thus snackable pieces of information are fared much better in comparison to only text-based information. Hence, make use of various free resources, tools etc. to create visual content which will spark interest from your users and give you that edge over others. 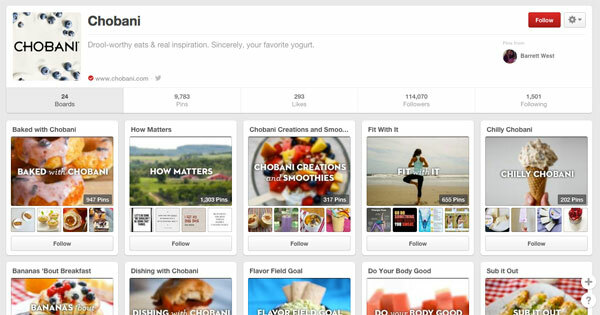 Example: Chobani on their Pinterest page have 25 boards even though it is a yogurt brand. They share amazing pictures which is a mix of their products, lifestyle boards and they have that many followers due to the high quality imagery they share. Humor makes you stand out; it makes your brand seem more interesting than a pushy salesman and humanizes your brand online. There’s a fine line between funny and offensive, topics like race, religion, and sexual orientation are extremely touchy for some people so don’t cross the line from being funny to creepy. Humor makes your brand like a friend to your audiences and it makes a good light-hearted content which is easy to digest. Example: Chumbak on their Facebook page, share content which is a mix of honest, adorable and funny! They take on social media to truly engage with their fans through humor. With the fictitious holiday dates they created, give everyone a good laugh and instantly lead to engagement and shows it is a making of a good post. Don’t be a fake copy of someone else on social media, be yourself! Your audiences are exposed to so much information every day from numerous brands, for you to stand out ‘Be Original’. Otherwise how will you be able to catch their eye, if you follow the herd and share the same content? If you feel that you are running out of interesting ideas for posts, keep an eye on your competitors and see how what kind of content they are sharing with their users. Bookmark various blogs – Mashable, Social Media Examiner etc. they are constantly sharing invaluable information regarding social media something might just ignite the inspiration from those sites. Create a post, include meme and share them across. It is extremely important to post your content at the right time of the day/hour. What is the use of creating great content if no one is reading it? Your target audiences may be housewives, students and even some spread abroad so you need to constantly share relevant content at the right intervals for them to read it. Start using tools like Twitter Analytics, Facebook Insights, Post planner if you are not using them already. Problem never comes knocking on your door, so you best be prepared! Many a times you may share a post which be shared at the wrong time/ or it may be misunderstood by someone. These things can get your brand in the spotlight for all the wrong reasons, thus always have a crisis plan of action ready and immediately own up for your mistakes. Keep a series of crisis posts ready and saved up in one of your folders, so when trouble comes by you don’t get dumb-founded and lost rather you start rolling out the pre-saved posts with certain tweaks and save the day for your brand. Example: US Airways had a ton of explaining to do to their followers on Twitter, due to the inappropriate image which got shared from their profile. They immediately took to Twitter, deleted the picture and apologized to their fans. Thus always have a crisis plan set up; you may never know when it hits you! Before you set base on any platform, you must thoroughly research it and understand all the functions of that platform and it’s posting style. Keep up with all the changes of various channels and implement those in your strategy. Every platform has a different posting style compared to other, thus create a content calendar so you know what sort of information you are sharing on other channels. If content creation is important, then distribution is the vessel to the perfect post. Example: Krispy Kreme India, haven’t truly leveraged the power of Twitter. They only link-back all their posts! Thus it shows low engagement and fewer followers. They need to truly craft posts which elicit a response and increase engagement as well as followers. The structure of your social media posts plays a significant role on what sort of activity it converts – Engagement, traffic, leads etc. The details mentioned above may be a bit nitpicky but they play a big part in the overall content creation. With the examples mentioned as well will get you inspired and in the right course of creating valuable content for your audiences. Your Website Is Your Home Base – Your company website is the home base of your brand. When someone finds you through a blog post, you want that person to land where in the place where all wonderful reasons to do business with you are laid out. Extra Clicks Are Extra Work – Although you may have a link to your company website on that separate blog, you are asking your reader to take the time to find and click the link. Yep, it’s only a click, but it’s extra workand if your readers aren’t real motivated to find and click on the link, you’ve lost ‘em. “Confusion Trumps Persuasion Every Time” – That’s a quote from Dr. Flint McGlaughlin of Marketing Experiments and it’s so true on the web. If your blog is on one domain and your website is on another…it’s confusing! A confused visitor will not be motivated to find out more about you. Worse yet, he or she may even leave with the idea your company itself is confusing! Creating compelling content and disseminating it across the web is hard work. Make your hard work count. Land your readers on your company website. Your website needs that juice! Monetate’s latest Ecommerce Quarterly for Q2 2014 shows that mobile commerce traffic has increased by 120% in the last year, overtaking tablet traffic for the first time. But while mobile devices are now responsible for 16% of all ecommerce traffic, they continue to drive less than 4% of revenue. 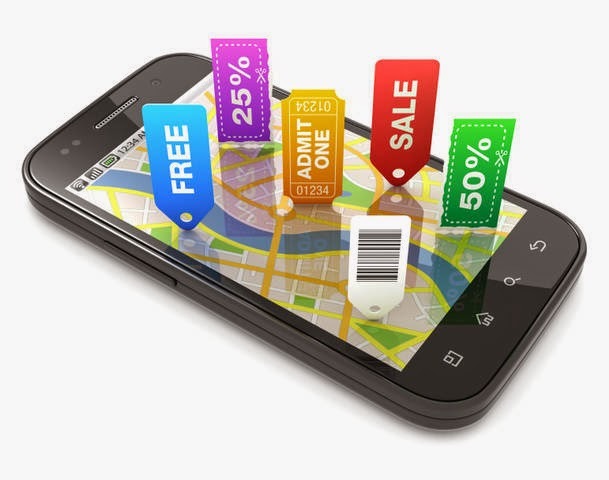 Moreover, a mobile customer’s visit to an ecommerce website has a 50% higher bounce rate, a 30% lower add-to-cart rate, and is 10% more likely to abandon cart. The report is based on data from more than 7bn online shopping experiences. Infographic marketing offers vast potential for growing your audience, generating engagement, earning links, enhancing brand recognition and improving Google rankings. Sounds pretty good, right? If you’re interested in learning how to fully maximize the benefits of infographic marketing, this guide is for you. The most common model of infographic marketing is this: Research. Create. Embed. Hope. Most people find the data, hand all of the results to a designer, embed the finished product in their site and hope others will pick it up and share it with their audiences. People seek out infographics for quick bites of information. Below I show how you can improve and streamline that model so you leave nothing to chance. If you’re looking to create an infographic that has audiences thinking, “Wow, that’s so cool! I have to share this!”, you need to evoke strong feelings. So before we even start, I’m going to ask you to do me a favor. Step out of the box. Right now. You can’t be in the box and create successful infographics. If you think your industry is too dry or boring to fit with infographics, you’re still in the box. There’s always something cool to be discovered, created and shared—you just have to look, adjust and direct. Your niche and products matter to some degree, but in many cases you don’t need your infographic to be about your business itself—you just need it to be of high interest to your audience. Make infographics so compelling people can’t help but share them. To know what your audience craves, you have to get into their heads. Building marketing personas goes a long way in helping you create content targeted to their interests. Let’s say your company sells business phone systems. Who are your prospective buyers? Based on a marketing persona, you’ve found that they are business owners, chief communications officers and IT directors. Those people are interested in business development, economic growth and marketing strategies. They probably read magazines like Forbes and Financial Times and have studied subjects like economics or business. You can adjust and direct those interests to create an infographic that shows statistics about business development and growth in general, but doesn’t mention your company specifically. The result is a useful, interesting infographic your audience can share across the board because it applies to their network and makes them look like an expert. With your audience’s basic traits in mind, you can use tools like BuzzSumo, Google search, Google News and Topsy to find topic ideas to inspire your overall concept. Type in your keywords (e.g., your audience’s interests or traits) to see the most shared articles across the web related to those terms—the last six months should be plenty. Use popular topics from the last six months to inspire your next infographic. When you find some relevant topics, click over to the sites and snoop around—fill your mind with ideas and let them slowly shape themselves into different infographic theme concepts. Brainstorm different themes and narrow them down to one or two. You’ll be able tosee which one fits best as you organize your data (discussed below). When you have a strong theme, it’s much easier to choose which data to keep and which data to ditch. As with the conceptual stage, you’ll have to hit the virtual pavement and research your topic thoroughly. Look for data and statistics that support your topic, but aren’t readily available to everyone. Search for PDFs, PowerPoint presentations and other data sources. Filter the results by date and database (e.g., images, news, videos) to find data that may be hiding in less-traveled corners of the web. Filtering helps you distinguish great data from merely good information. Once you’ve completed your research and have a ton of useful information, start organizing the data. Many marketers try to include every statistic they find and often end up with an infographic that is text-heavy and overwhelming. Keep in mind that people are busy and mostly just scan content. Readability will make or break your infographic. Avoid information overload by evaluating your data objectively. Is it integral to your story? If you’re not sure, take it out. When you’ve decided on the final theme and direction, write up a clear creative work order that specifies the visual theme (include examples if necessary). Translate as much data as possible to images. My creative work orders include color codes to show what should be text and what should be visual. The designer can tell at a glance how to convey specific information. The example below is a partial color-coded work order I made for an infographic related to the growth of startups and new businesses. I provided data and asked for it to be presented in a theme based on the TV show Shark Tank. I chose the theme because the premise of Shark Tank is that hopeful entrepreneurs sink or swim, and startups face similar challenges. *Any text highlighted in green is text that we actually want to see included in the infographic. Text highlighted in brown should be visual. The rest is just direction for the design or images. Over the course of five seasons of Shark Tank, there have been 93 episodes, 377 pitches and 186 deals. As of 2013, the Sharks have offered to invest over $20,044,000 in 109 companies. However, only 1/3 of the deals made on the show actually close! After the deals are made, the entrepreneurs and their companies undergo a months-long vetting process by the Sharks. Why such a low rate? Since 2012, only 1 in 17 ventures have ever seen a profit. 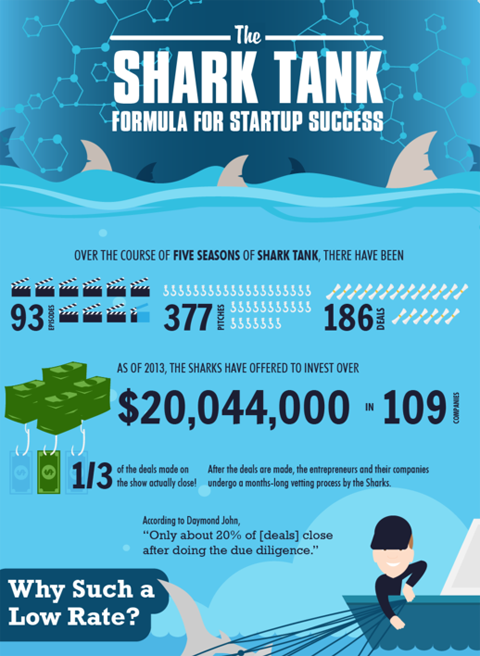 The Sharks are tough—but the real world of venture capitalism and entrepreneurship is even tougher! Clear design direction makes for a strong infographic. Ask your designer to make a thumbnail of the infographic and give you the final Illustrator file. You’ll need both when you start the promotion phase. Whether you’re writing an article, a blog post or creating an infographic, it’s important to cite your sources—both to give credit to the original articles and to lend additional credibility to your own content. If you list statistics without explaining where you found the data, people may doubt the veracity of your content. Make sure you list all of your sources at the bottom of the infographic so people can read more about the content and statistics you’re sharing. As an added benefit, you can let your sources know that you’ve included their content in your infographic. Who knows, they just might choose to share it on their site or social profiles! At the beginning of this article I said people research, create, embed and hope. This is where you replace hope with promote to ensure your infographic is picked up and shared by others. Below I’ll share how you can use social media and blogger outreach to get the word out. You’ll also discover how simply repackaging your content can generate different types of links. The journey to discovery has to start somewhere and the most likely place is your own website. Write companion articles to support your infographic and publish them (and the infographic) on your site along with the embed code. When others find your infographic, they can grab the embed code and share it on their own sites. Your articles should cover specific aspects of the infographic in greater depth. The key here is to avoid regurgitating what’s on the infographic. Write something complementary and of value so people are more likely to share. Replace hope with promote and watch your infographic take off. One of the main reasons marketers use infographics is to get links back to their sites. When you send out custom introductions to your pitch lists (discussed below), tell them about your infographic as well as your companion articles. It makes sense for anyone writing about your infographic to refer and link to your article in the body of their text. Once you publish, share your content and infographic on your social profiles as usual. You can get even more mileage by using your infographic stats in a series of tweetable snippets. When your image is ready, one of your first steps is to submit it to sites that accept infographics. My favorite is Visual.ly. Visual.ly gets the ball rolling and can create a tidal wave of visibility. I’ve had infographics picked up by large industry news sites simply by submitting them there. You can also find Google communities and sites dedicated to sharing infographics, such as Infographics Plus and DigitalInformationWorld. Another angle is to reach out to people who run infographic boards on Pinterest, as these can also generate tons of repins and site traffic. 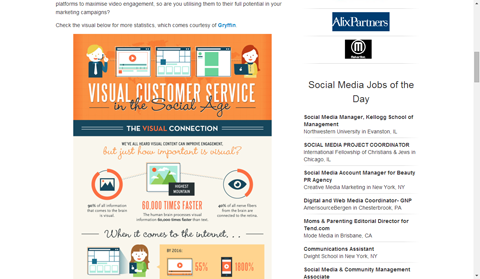 Visual.ly gets things moving and puts your infographic in front of large companies. Facebook is one of the most surefire ways to promote your branded infographic to your audience. With its advanced ad targeting, you can’t miss! Using ads with the Clicks to Website objective, you can create dark posts with a snippet about your infographic that includes a thumbnail. Dark posts let you post as many ads as you’d like without them showing on your Facebook page. 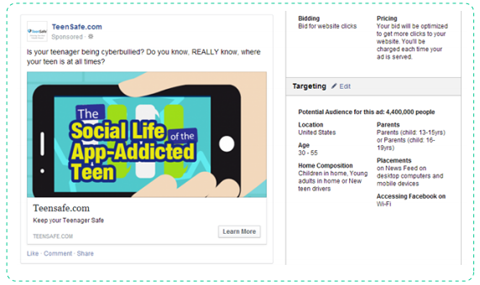 Use a section of your infographic in social ads. Twitter, StumbleUpon, Reddit and Outbrain also have promotion options. Their effectiveness varies based on the topic of your infographic and where and how you advertise. On Reddit, for example, you have to find a relevant subreddit to advertise in to create a buzz. On Outbrain and StumbleUpon, popular mainstream topics do well—BuzzFeed-style headlines capture a lot of interest. Multiple social ads boost your infographic’s visibility. Twitter can be more focused based on keywords and hashtags, but the traffic tends to be more expensive. If you have a large budget, use all of these methods. Otherwise,start with Facebook ads and work your way down the list. Successful blogger outreach starts with a good pitch list. Find and reach out to people who have shared infographics about similar topics in the past, as they’re the most likely to share yours if you simply tell them about it. Partner with bloggers to share your content and build links back to your own content. You may want to consider using Google’s date filter to find sites that have recently shared these infographics. To expand your pitch list, you can reverse-engineer shares on popular sites to find potential partners. Visual.ly and Google Images are perfect for this tactic. Visual.ly isn’t just a great place to promote your own infographics, it’s also a great way to find them. Why would that matter? When you find infographics similar to yours, you can do a backlink search to find out who has shared them and ask if they’ll share yours as well. For example, if you’re looking for infographics about how to use Google+, go to Google and search site:visual.ly + google plus. Search Google to find the related infographics on Visual.ly. 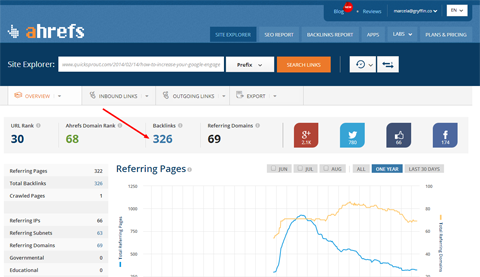 Do a simple backlink search on ahrefs. Next, sort the backlinks or referring domains by ahrefs DomainRank and you instantly have hundreds of targeted sites you can pitch to. You can also have good luck finding potential sharing partners via Google Images. It may seem counterintuitive, but for the Google Images method to work, you have to find popular infographics on Visual.ly first. 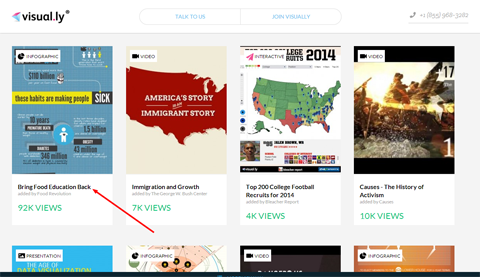 So go to Visual.ly and look for “popular” infographics. 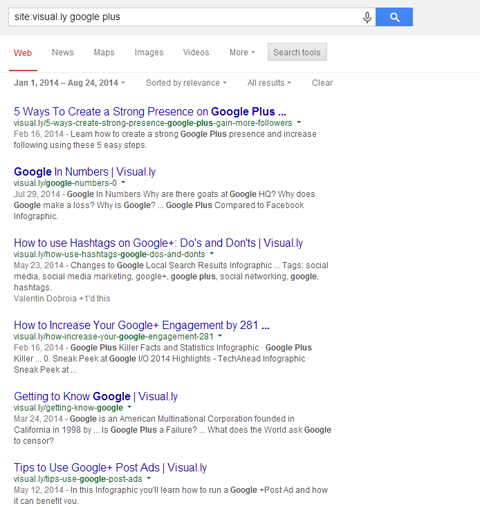 Use Visual.ly to find popular infographics before you do a Google Images search. Visit the infographic page, identify the source and copy the URL. Then head over to Google and paste the image URL into the search box and filter by Images. 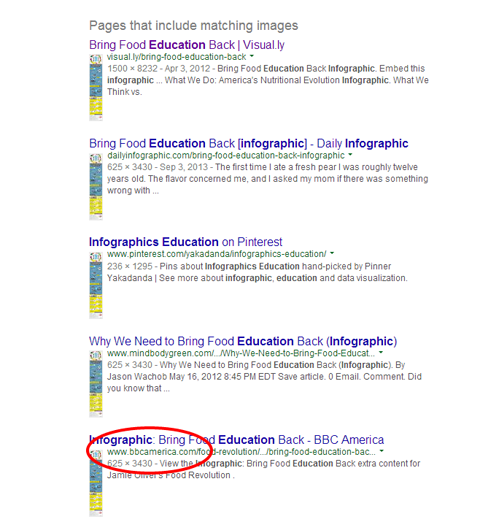 Search Google Images to find out how many times an infographic was shared. 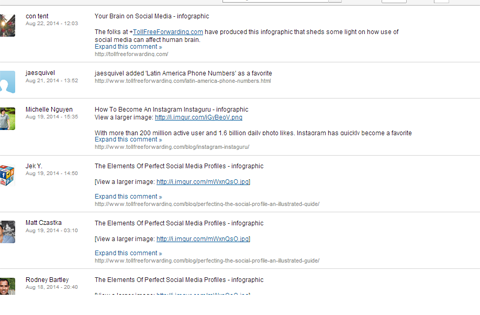 In the results, look at how many times an image has been shared. Add the sites with the most shares to your pitch list. In the image above, I found an infographic that has been shared 440 times, including on the BBC America site. That source site is definitely going on the pitch list. You’ve been on quite a journey so far, but you’re not done yet! Since you have the Illustrator file from your designer and the written work order with the text version of your image, you can start repackaging your infographic as an animated video, presentation or ebook. A good animator can take your Illustrator file and create an animated version of your infographic that you can then submit to video marketing sites to generate more links and visibility. Presentations are easy enough to make. Take your most important points, grab your illustrations and drop them into PowerPoint. Then upload your presentation to SlideShare.net and other sites that accept presentations. Finally, take your presentation, expand upon it with text from your research, add a few illustrations from your infographic and voilà! You have an ebook you can use as newsletter or email linkbait. To gauge whether your infographic marketing is effective, it’s important to track key performance indicators (KPIs). Some of the most popular KPIs are basic social interactions (retweets, +1s, likes), links and traffic back to your infographic article, Google organic rankings and mentions. You have several tools at your disposal to track social engagement. 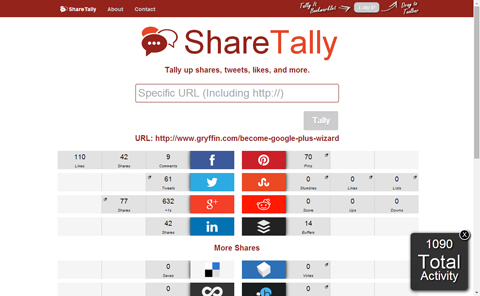 ShareTally tells you how many times a page has been shared socially; Tailwindapp keeps track of how many times your infographic has been repinned on Pinterest; and TrueSocialMetrics can show you who engaged with your content, as well as other general statistics. Social interactions are an important KPI to track. Other tools include Mention.com, which tracks mentions of your infographic. Moz tracks domain authority, links built, ranking changes, etc. You can find a lot of data within the Google Analytics Social tab, and Data Hub Activity shows you who has shared your content socially. Use Data Hub Activity to see who’s been sharing your infographic socially. Regardless of which KPIs or tools you use, the key is to track the data consistently to determine if your infographic marketing investment is paying off.